UMX Corners: Corner Guard: For Wood Cigar Boxes, Cigar Box Purses, Photo Frames, Picture Frames, Wooden Box Corners. Photo Frames, Picture Frames, Wooden Box Corners. Metal corner guard for decoration and protection of your wooden cigar box purses, wood jewelry boxes, wooden boxes, wood picture frames, wooden photo frames etc. 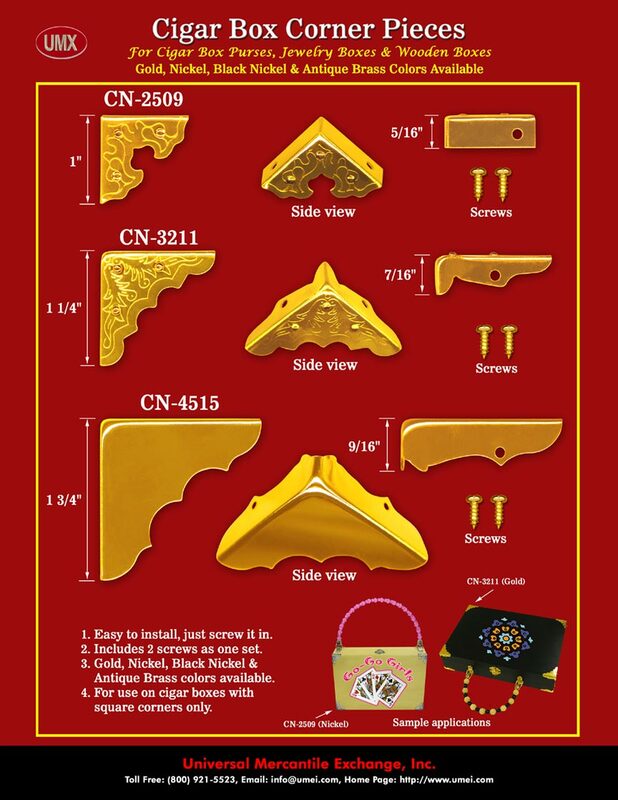 Gold and nickel color cigar box corner pieces available.